Johnsonville Sausage is taking the opportunity to further reduce its environmental impact by switching to an innovative polystyrene foam tray used for its fresh sausage products sold in retail stores. Cascades is one of Johnsonville’s packaging vendors and the company responsible for creating this first-ever North American fresh meat polystyrene foam tray that contains 25% recycled material. Cascades has named the innovation EVOK®, which Johnsonville will begin transitioning its products to starting May 1. Johnsonville will be the first national branded sausage leader to use this EVOK packaging that’s manufactured in the U.S. EVOK was introduced in Canada in 2013. By integrating this recycled material into the Johnsonville trays used for its fresh sausage products, greenhouse gas emissions will be reduced by 15%. Johnsonville will use this EVOK packaging on all of its fresh meats, including: Fresh Bratwurst; Fresh Italian Links & Ground Sausages; Johnsonville Naturals; Breakfast patties & links; Fresh Grillers; and its new Chicken Kabobs. This latest packaging change is one of a few improvements Johnsonville has made within their operations to reduce, reuse and recycle – to minimize the company’s environmental impact on this planet. The other most notable packaging projects include a recycle and reuse program with its zipper spool vendor, and changing the shape of some of its polystyrene foam trays. 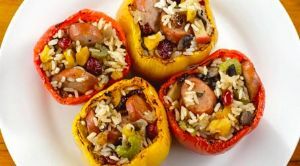 The zipper spool recycle and reuse program allows Johnsonville to return the high-impact polystyrene “spool” that holds the zipper lock material that Johnsonville uses in its smoked-cooked sausage products. The impact of this recycle-and-reuse program has resulted in 50,000 pounds kept from being disposed in a landfill. And back in 2010 – also with Cascades’ foam trays – Johnsonville made a very simple change by transitioning from a full rectangular-shaped polystyrene tray for its fresh bratwurst and Italian sausages, to a tray that contours along one side to mimic the shape of the dinner sausages – resulting in 6% less packaging being used in each tray. To date, this packaging size reduction effort has resulted in an annual decrease of 120,000 pounds of material waste. Wisconsin-based Johnsonville Sausage is the No. 1 national brand of brats, Italian sausage, smoked-cooked links and fresh breakfast sausage links. Johnsonville employs approximately 1,600 members. Each member takes ownership of product quality to ensure the excellence and “Big Flavor” of Johnsonville Sausage. Founded in 1945 by the late Ralph F. and Alice Stayer, the company remains privately owned today. Founded in 1964, Cascades produces, converts and markets packaging and tissue products that are composed mainly of recycled fibers. Cascades employs nearly 11,000 employees, who work inover 90 production units located in North America and Europe. The Consumer Products Packaging sector of Cascades Specialty Products Group designs and manufactures packaging for fresh produce that meets the needs of food and fast-food markets, including the consumer goods sector. Cascades' shares trade on the Toronto Stock Exchange, under the ticker symbol CAS. For more information about EVOK, visit food-packaging.cascades.com. 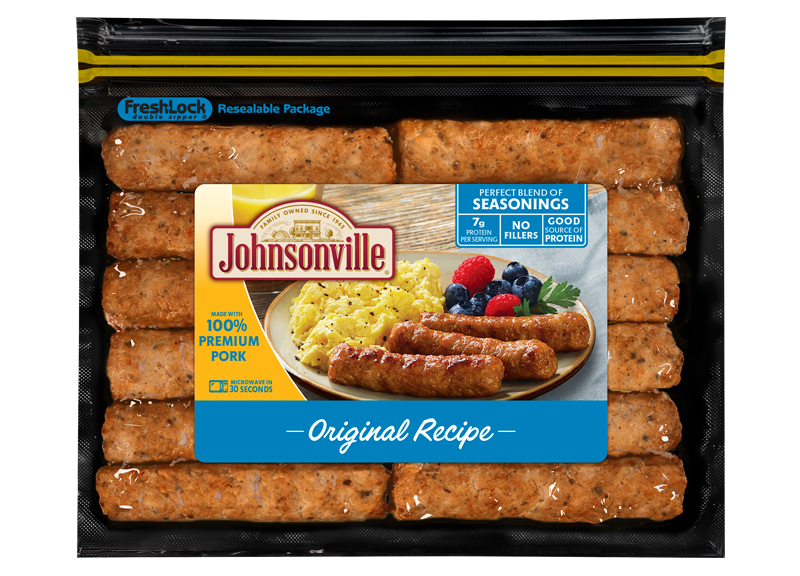 Johnsonville takes steps to further reduce its environmental impact by switching to an innovative polystyrene foam tray used for its fresh sausage products sold in retail stores.